ServiceNow Interview Questions And Answers. If you are looking for ServiceNow Interview Questions, here is the comprehensive list from basic to most advanced servicenow admin interview questions for 2+, 3+, 4+, 5+ years of experienced professionals. These servicenow developer interview questions will help you to crack your servicenow job interview. What is the latest servicenow user interface and when it was released? What is full form of CMDB ? What is CMDB Baseline ? How to enable or disable an application ? Which is the Parent table for incident,change and problem ? What is a record producer ? Q) What provides a guide for moving data from import sets? Q) How do you change the sort sequence of fields or task? Q) Tables and Fields can be viewed and manipulated where? Q) What is the sequencing of publishing a Knowledge Article? Q) What are the 3 basic components of Workflow? Q) How do you modify or create workflow? Q) Where do you go in ServiceNow to change the banner and colors? Q) To access the control list you have to have which access? Q) Where do you go to delete tables? Q) What is a row? Q) What is a column? Q) What do incident, problem and change have in common? Q) If importing data, how do you keep from importing duplicates? Q) What controls what data users can access ? Q) Where do you go to add/modify a service catalog item? Q) What is stored in a table? Q) How are users related to roles or groups? Q) What are update sets? Q) What is a CI? A) Business Service Management BSM map graphically displays the configuration items, CI, that support a business service. Q) What is a tool that will autopopulate the CMDB about your windows computer? Q) What is a record producer? Q) Does ESS have a role? Q) When you open a service catalog and click the Order button what gets created? Q) What is a select box, single line text, reference, check box, multiple choice? Q) What is a variable set? Q) What are the workflow stages? Q) What are the workflow activities? Q) If a request is rejected what happens? Q) SLAs include actions that can be triggered when during the lifecycle? Q) What is the difference between SLA, OLA, and Underpinning Contracts? Q) Which workflow is designed to be used over and over again? Q) Retroactive start when activated does what? Q) What are the steps in a SLA? Q) What is ran on the client side and what is ran on the server side? Q) How can you set a read-only field? Q) What controls enable admins to set mandatory and read only states for fields and can be used to enforce data consistence across applications? Q) What is a business rule? Q) How do you limit file attachments? Q) What is a security rule at the row and column level that is executed when attempting to access a ServiceNow table? Q) What has conditions,scripts and roles and can limit security? Q) What is the Duration of the elevated role? Q) When is a notification sent out? Q) What is the notification flow and how can a notification be sent out? Q) Can a user open an Incident by email, if so what is utilized? Q) Where can you view information about system activity? Q) If the system is going to be upgraded,what will be exempt from the upgrade? Q) What module tracks all upgrades made to the system? Q) What does SaaS stand for? Q) Where does the home icon take you and what does the icon look like? Q) What can you do if the Homepage is slow? Q) My manager is going to be out of town and needs to have the supervisor approve while he/she is out of town, what would he/she utilize in ServiceNow? C Program Array With Source Code Example. If you are looking for a C program array example, this C programming tutorial will help you to learn how to write a program for array in C. Just go through this C programming example to learn about arrays in C. we are sure that you will be able to write a C programming for array. 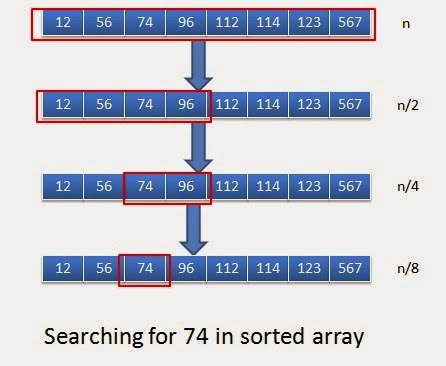 What is Array in C Programming? 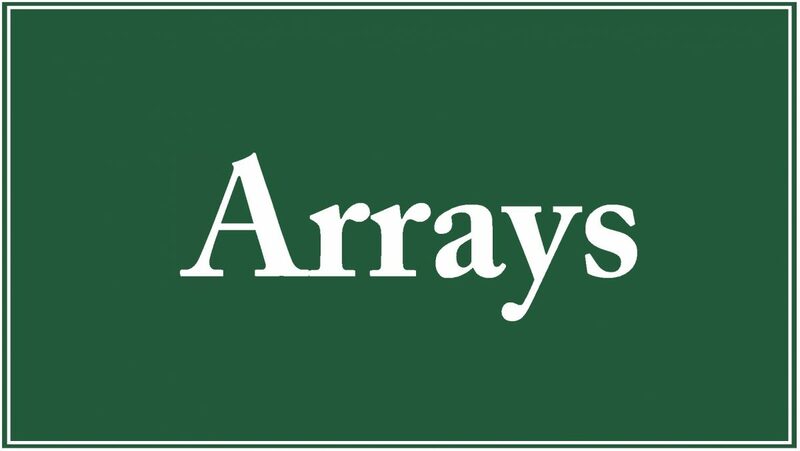 What is an array in C. An array is a kind of data structure, array is a collection of data that stores fixed number of values of same type. For example: if you want to store some numbers, you can create an array for it and store. Once you declare the array size and array type, you cannot be changed. 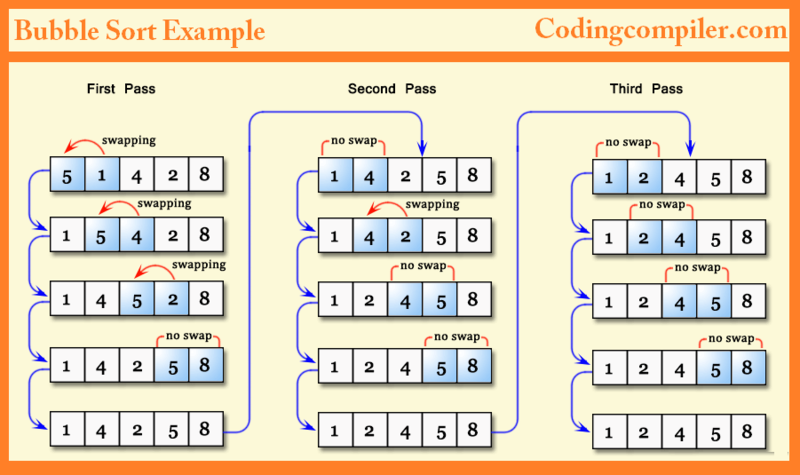 There are two types of arrays in C programming. 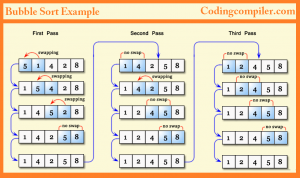 Here numbers array can hold 5 integer elements, in each field of numbers, numbers, numbers, numbers, numbers. Learn how to write a program for array in c. Writing an array program in C can be done using various techniques but here in this program, we show how to write a arrays program in c in a proper way. Happy coding. You can copy paste the below array program in c compiler to check how the source code work. Or write your own array C Program with the help of this below c program for array. After you compile and run the above c program array, your C compiler asks you to enter elements for the array to perform the average. After you enter elements, the program will be executed and give output. Docker Interview Questions And Answers. If you are looking for Docker Interview Questions, here is the comprehensive list from basic to most advanced docker container interview questions for 2+, 3+, 4+, 5+ years of experienced professionals. These docker devops interview questions will help you to crack your devops job interview. How will you create a Container in Docker? Do you think Docker is Application-centric or Machine-centric? Can we run more than one process in a Docker container? What are the objects created by Docker Cloud in Amazon Web Services (AWS) EC2? What is Pluggable Storage Driver architecture in Docker based containers? What are the main security concerns with Docker based containers? How can we check the status of a Container in Docker? How does Docker simplify Software Development process? What is ONBUILD command in Docker? What are the most common instructions in Dockerfile? Docker is an open platform that both IT operations teams and Developer team use to build, ship and run their applications, giving them the agility, portability and control that each team requires across the software supply chain. Containerization is very different from virtualization. It starts with the Docker engine, the tool that creates and runs containers (1 or more), and is the Docker installed software on any physical, virtual or cloud host with a compatible OS. Containerization leverages the kernel within the host operating system to run multiple root file systems. We call these root file systems “containers.” Each container shares the kernel within the host OS, allowing you to run multiple Docker containers on the same host. Unlike VMs, containers do not have an OS within it. They simply share the underlying kernel with the other containers. Each container running on a host is completely isolated so applications running on the same host are unaware of each other (you can use Docker Networking to create a multi-host overlay network that enables containers running on hosts to speak to one another). The image below shows containerization on the left and virtualization on the right. Notice how containerization (left), unlike virtualization (right) does not require a hypervisor or multiple OSs. Docker containers and traditional VMs are not mutually exclusive, so no, containers do not have to replace VMs. Docker containers can actually run within VMs. This allows teams to containerize each service and run multiple Docker containers per vm. By Dockerizing their environment enterprise teams can leverage the Docker Containers as a Service Platform (CaaS). CaaS gives development teams and IT operations teams agility, portability and control within their environment. Developers love Docker because it gives them the ability to quickly build and ship applications. Since Docker containers are portable and can run in any environment (with Docker Engine installed on physical, virtual or cloud hosts), developers can go from dev, test, staging and production seamlessly, without having to recode. This accelerates the application lifecycle and allows them to release applications 13x more often. Docker containers also makes it super easy for developers to debug applications, create an updated image and quickly ship an updated version of the application. IT Ops teams can manage and secure their environment while allowing developers to build and ship apps in a self-service manner. The Docker CaaS platform is supported by Docker, deploys on-premises and is chock full of enterprise security features like role-based access control, integration with LDAP/AD, image signing and many more. In addition, IT ops teams have the ability to manage deploy and scale their Dockerized applications across any environment. For example, the portability of Docker containers allows teams to migrate workloads running in AWS over to Azure, without having to recode and with no downtime. Team cans also migrate workloads from their cloud environment, down to their physical datacenter, and back. This enables teams to utilize the best infrastructure for their business needs, rather than being locked into a particular infrastructure type. The lightweight nature of Docker containers compared to traditional tools like virtualization, combined with the ability for Docker containers to run within VMs, allowing teams to optimize their infrastructure by 20X, and save money in the process. The Docker engine is the software that is installed on the host (bare metal server, VM or public cloud instance) and is the only “Docker infrastructure” you’ll need. The tool creates, runs and manages Docker containers. So actually, there is no hardware installation necessary at all. The Docker Engine itself is very lightweight, weighing in around 80 MB total. A Dockerized node is anything i.e a bare metal server, VM or public cloud instance that has the Docker Engine installed and running on it. Docker can manage nodes that exist on-premises as well as in the cloud. Docker Datacenter is an on-premises solution that enterprises use to create, manage, deploy and scale their applications and comes with support from the Docker team. It can manage hosts that exist in your datacenter as well as in your virtual private cloud or public cloud provider (AWS, Azure, Digital Ocean, SoftLayer etc.). Do Docker containers package up the entire OS and make it easier to deploy? Docker containers do not package up the OS. They package up the applications with everything that the application needs to run. The engine is installed on top of the OS running on a host. Containers share the OS kernel allowing a single host to run multiple containers. The Docker Engine runs on all modern Linux distributions. We also provide a commercially supported Docker Engine for Ubuntu, CentOS, OpenSUSE, RHEL. There is also a technical preview of Docker running on Windows Server 2016. Docker isn’t focused on managing your infrastructure. The platform, which is infrastructure agnostic, manages your applications and helps ensure that they can run smoothly, regardless of infrastructure type via solutions like Docker Datacenter. This gives your company the agility, portability and control you require. Your team is responsible for managing the actual infrastructure. As far as the number of containers that can be run, this really depends on your environment. The size of your applications as well as the amount of available resources (i.e like CPU) will all affect the number of containers that can be run in your environment. Containers unfortunately are not magical. They can’t create new CPU from scratch. They do, however, provide a more efficient way of utilizing your resources. The containers themselves are super lightweight (remember, shared OS vs individual OS per container) and only last as long as the process they are running. Immutable infrastructure if you will. The best way for your team to get started is for your developers to download Docker for Mac or Docker Windows. These are native installations of Docker on a Mac or Windows device. From their, developers will take their applications and create a Dockerfile. The Dockerfile is where all of the application configuration is specified. It is essentially the blueprint for the Docker Image. The image is a snapshot of your application and is what the Docker Engine looks at so it knows what the container it is spinning up should look like.